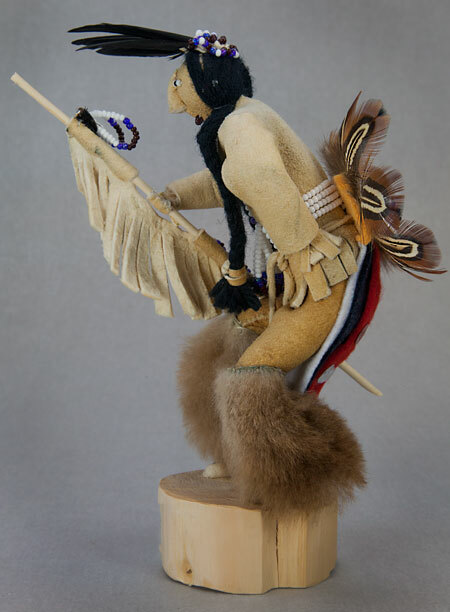 Native American Shoshone warrior doll by Dianne Ottogary, He is handcrafted from wood that is covered with leather (hide). 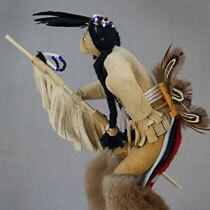 He has braided black hair, is carrying a beaded and fringed staff. 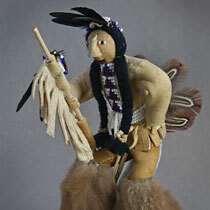 He wears pants trimmed with fur, beaded moccasins, and beaded headband. 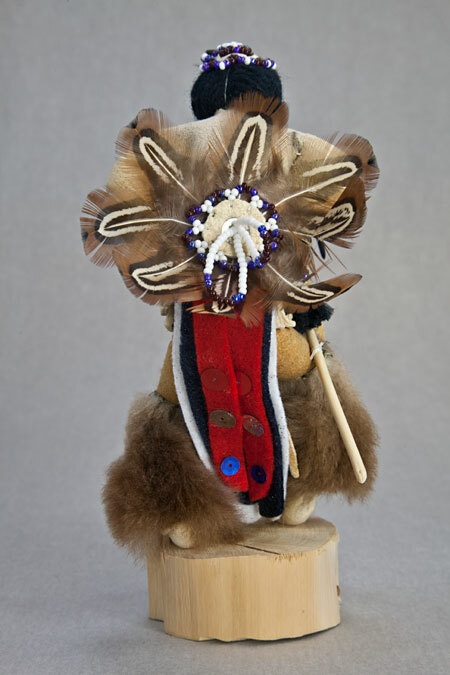 His accessories include feathers on his head and a beaded belt and breast piece. 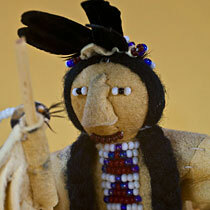 His face is constructed with a leather nose and beads for his eyes and mouth. 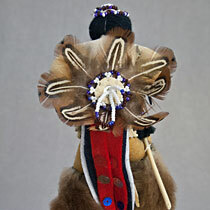 He has a beautiful full feather bustle on his back that is accented with a beaded back shield. 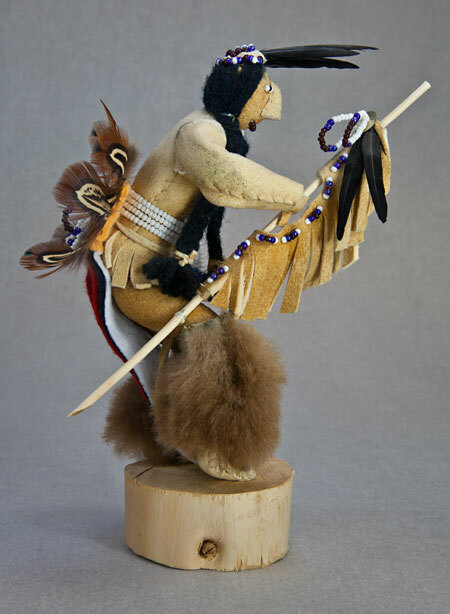 The figure is signed by author “Dianne Ottogary” and numbered on bottom. “Sho-Ban Ottogary dolls”. 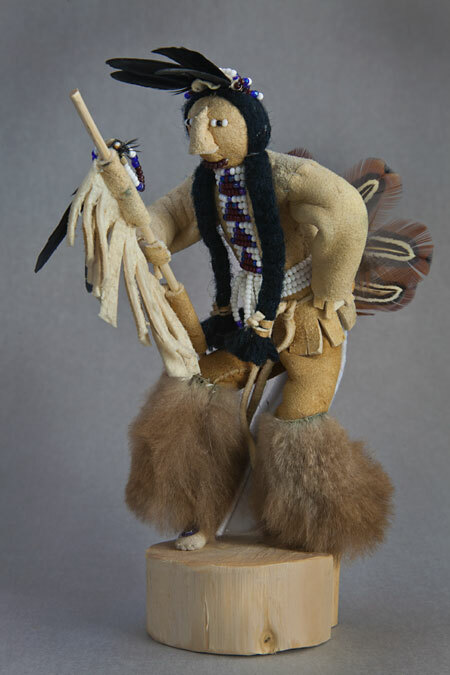 My name is Camehawait and I am a Chief of the Shoshone Indian tribe. The year is 1805, and our tribe lives in Idaho. Our life is simple. We hunt buffalo and fish for salmon. The mountains of Idaho are beautiful and there is plenty of food. 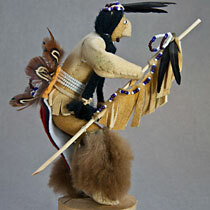 The only sadness in my life is that my sister, Sacagawea, is not here. She was kidnapped by a different tribe when she was 12. I didn’t know where she was or if she was OK. Yesterday, my scouts saw some men on our land. The men looked different. They had light skin, and they spoke a different language. I sent four warriors to watch them to see if they were dangerous. The warriors came back and told me the men had a woman who could speak our language. They reported that the men looked friendly. I decided to go see the men. When I approached, I saw the Indian woman. She was about 17 years old and spoke our language perfectly. She had a baby boy with her. She started to explain that the men were explorers, who were making maps. They were traveling to the “big water” and needed to trade for some horses. 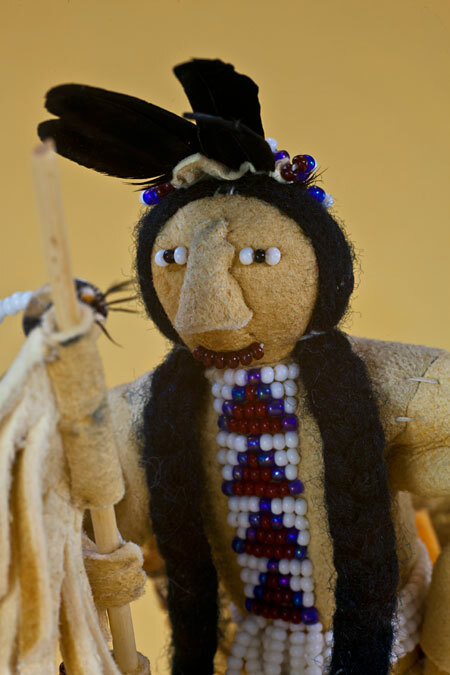 Suddenly, she stopped talking and said “Brother!” I couldn’t believe it—my little sister Sacagawea had returned! We were so happy to see each other! Sacagawea told me she had been sold to a trapper. She was now his wife. Both of them were helping the explorers (Lewis and Clark) by serving as guides and translators. 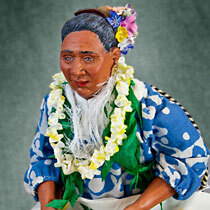 I begged her to stay with the Shoshones and return to her family. It was a hard decision for her. Finally, Sacagawea decided she wanted to travel with the Lewis and Clark expedition to see the ocean. That was the last time I saw my sister. I heard later that she guided Lewis & Clark across the mountains. 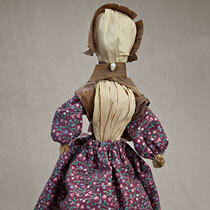 She saw the ocean, then returned to the Dakotas with Lewis & Clark. Sacagawea died a few years later. The great explorer, Clark, was so thankful for her help that he adopted her son.